The Chancellor of the Exchequer Philip Hammond has delivered his Autumn Budget speech detailing the government’s plans for our finances. Little changed for pensioners and savers, but there was big news for first-time homebuyers, with stamp duty abolished on homes under £300,000. Which? rounds up all the major announcements from the chancellor’s speech. Stamp duty on homes under £300,000 will be abolished for first-time buyers looking to purchase a home worth up to £500,000. Normal rates will apply for the proportion of the value above £300,000, then buyers will pay 5% between £300,000 and £500,000. That means a home worth £400,000 would attract no stamp duty on the first £300,000 but a rate of 5% on the next £100,000 – meaning you pay £5,000. Under the old system, you would have to pay £10,000. The relief will not apply for purchases of properties worth over £500,000. Homes above this threshold will attract standard rates. The government estimates that 80% of people buying their first home will pay no stamp duty and the change will save the average first-time buyer £1,660. You can use the Which? stamp duty calculator to figure out what your bill will be. For more detailed analysis take a look at our story Autumn Budget 2017: stamp duty abolished for most first-time buyers. From April 2018 the first year VED rate for diesel cars that don’t meet the latest standards, will go up by one band. The tax hike will only apply to cars, so no white van man (or woman) will be hit by these measures. The levy will fund a new £220 million Clean Air Fund to support local air quality plans. For a more detailed analysis see our story Autumn Budget 2017: diesel car tax rise and electric car investment. The personal allowance, which is the amount you can earn before you start paying income tax, will rise from £11,500 to £11,850 from April 2018. At the same time the higher rate threshold, which is the amount you can earn before paying 40% income tax, will rise from £45,000 to £46,350 for those in England, Wales and Northern Ireland. In Scotland the threshold for higher-rate tax is currently £43,000. You can use our income tax calculator to see how the changes will impact you. The national living wage (NLW) for those aged 25 and over will increase from £7.50 per hour to £7.83 per hour from April 2018. Mr Hammond said that equates to a pay rise worth £600 for full-time workers. The national minimum wage will also increase across all age groups and for apprentices from April 2018. We’ve set out the changes below. For a more detailed analysis take a look at our story Autumn Budget 2017: income tax rate boost for low and medium earners. The chancellor also confirmed that the government will work with the rail industry to launch a new 26-30 railcard. The move is a clear sign the government is trying to win back younger voters after a disastrous snap general election earlier this year saw 63% of under-30s vote for Labour. The government claims the card will save 4.5 million young adults a third on rail fares when the card is launched in spring next year. There was plenty the chancellor didn’t talk about in his speech. So we’ve been through the small print to figure out what’s going to happen to savings and pensions. How do you feel about what the chancellor announced in the Autumn Budget? You can join the Which? conversation here. The chancellor ends on a big giveaway. Stamp duty on homes under £300,000 will be abolished for first-time buyers. Normal rates will apply for the proportion of the value above £300,000. The government estimates that 80% of people buying their first home will pay no stamp duty. The change will save the average first-time buyer £1,660 according to the government. However, the relief will not apply for purchases of properties worth over £500,000. Homes above this threshold will attract standard rates. The Chancellor has confirmed the government will pump an extra £10bn into the help-to-buy scheme. The boost will fund 135,000 more home purchases for buyers struggling to get onto or move up the property ladder. Find out more about the scheme in our detailed Help to Buy guide and the Which? analysis of the pledge here. The government will urgently review why land with planning permissions is not delivering new homes. He says in London alone, there are 270,000 residential planning permissions unbuilt. The findings will be revealed in time for the Spring Statement in 2018. Mr Hammond confirms the government’s pledge to build 300,000 new homes a year in England by mid 2020. There will be £1.5 billion fund to help smaller firms build homes. The Chancellor says there will be a total of at least £44bn capital funding, loans & guarantees to support the housing market. The chancellor says the government will consult on how to encourage landlords to offer longer tenancies. The government is cracking down on empty properties. It will legislate to give local authorities the power to charge a 100% council tax premium on empty homes. The chancellor will bring forward the planned business rates switch from RPI to CPI by two years, to April 2018. The government will also extend the £1,000 discount for pubs with a rateable value of less than £100,000 for one more year to March 2019. It will also make the gap between revaluations shorter, reducing the period from five years to three after the next review. The VAT threshold, at which businesses need to register, will be not be lowered from £85,000. It will stay at this level for the next two years but Hammond says he will consult on changing how it works. Good news for motorists as the planned fuel duty rise in April is cancelled for the eighth year in a row. The Chancellor has confirmed that there will be a new railcard for under-30s. The new railcard will be available to those aged 26-30. Mr Hammond says the card will save 4.5 million young adults around a third on fares. The duties on ciders, wines, spirits and on beer will be frozen. However following a consultation, duty will be increased on cheap, strong “white ciders” from 2019. Duty on tobacco will rise as planned, with hikes of inflation (RPI) + 2% for cigarettes, and RPI+3% for hand rolling tobacco. The higher rate threshold, which is the amount you can earn before paying 40% income tax, will rise from £45,000 to £46,350 from April 2018. The personal allowance, which is the amount you can earn before you start paying income tax, will rise from £11,500 to £11,850 in 2018/19. The national living wage (NLW) for those aged 25 and over will increase from £7.50 per hour to £7.83 per hour. Hammond says that’s a pay rise worth £600 for a full-time worker. £1.5bn package announced to help address concerns about the roll out of the benefit. Mr Hammond says he will remove the seven-day waiting period for claimants. Claimants will also be able to get an advance online and the government will extend the repayment period from six months to 12 months. 13:02 Fancy a career change? The government will consult on a national retraining scheme to help people update their skills. The government will investigate how the tax system and charges on single-use plastic items can reduce waste. Mr Hammond says from April 2018 the first year VED rate for diesel cars that don’t meet the latest standards, will go up by one band. The levy will fund a new £220m Clean Air Fund to improve air quality in cities and towns across the UK. Hammond sets aside £500m in a range of initiatives including artificial intelligence, 5G and full fibre broadband. The Office for Budget Responsibility (OBR) forecasts that there will another 600,000 people in work by 2022. However, it has revised growth forecasts down. The chancellor announces an extra £3bn to prepare for Brexit over the next two years on top of the £700m already set aside. The Chancellor of the Exchequer, Philip Hammond, has taken to the dispatch box to deliver his Autumn Budget speech to MPs in the House of Commons. We’ll be following the speech and providing live updates on the issues that will impact your money. The Chancellor usually starts with an update on how the economy is performing, with figures supplied by the Office for Budget Responsibility (OBR). Hammond will report on growth, borrowing and debt compared to a year ago, as well as the OBR’s future forecasts. Hammond told the BBC’s Andrew Marr Show that his Budget would contain plans to build 300,000 new homes a year in England. Saying it was ‘not acceptable’ that young people struggle to buy a home, he confirmed the government would focus on speeding up developments where planning permission was already in place. However, it’s not clear how many of the homes being built will fall under an affordable housing scheme and how many will be social housing. It’s also likely the chancellor will confirm the prime minister’s pledge to extend the Help to Buy Scheme with an extra £10bn of funding. Student loans will also feature in the Budget, in a move to win back younger voters. At the Conservative Party Conference last month, Prime Minister Theresa May pledged to freeze tuition fees at £9,250 and raise the income threshold at which student loans are repaid from £21,000 to £25,000. The Tories will also fix a glitch that means thousands of people repay more than they need to on their student loan. It’s estimated that 86,000 people overpaid their student loan in 2015-16, due to poor communication between the Student Loans Company and HMRC. The Student Loans Company is responsible for monitoring how much is left to pay, while HMRC is responsible for taking repayments – but HMRC’s records only get updated once a year. The Chancellor will pledge to have a better system in place by April 2019 to ensure HMRC and the Student Loans Company can share data more effectively. The Chancellor is also set to announce a new ‘Millennial Railcard’ for people under 30, according to The Times. The card, which is likely to cost £30, will offer a third off the price of train tickets – similar to other schemes, including the young person’s railcard for 16-25 year olds. The scheme is tipped to help 4.5 million young adults save on rail fares from spring 2018. It’s expected that the Chancellor will announce a review into better consumer protection for airline passengers, according to The Times. This follows the collapse of airline Monarch, which left 110,000 passengers stranded. An independent chairman will head up the review, which will focus on the ‘uneven’ consumer protection for passengers. Find out more: what are your rights if your flight is delayed or cancelled? Here’s some of the most plausible speculation we’ve seen in the lead-up to the announcement. The government has previously pledged to raise the personal allowance for income tax to £12,500 by 2020-21. At the moment, the threshold still stands at £11,500, so it’s possible the Chancellor will set out how the increase in the personal allowance will be scheduled going forward. The threshold for the higher rate of tax is due to increase to £50,000 by 2020-21. Currently it stands at £45,000, except in Scotland where it’s £43,000. Again, the Chancellor could use this opportunity to announce a timeline for next year. 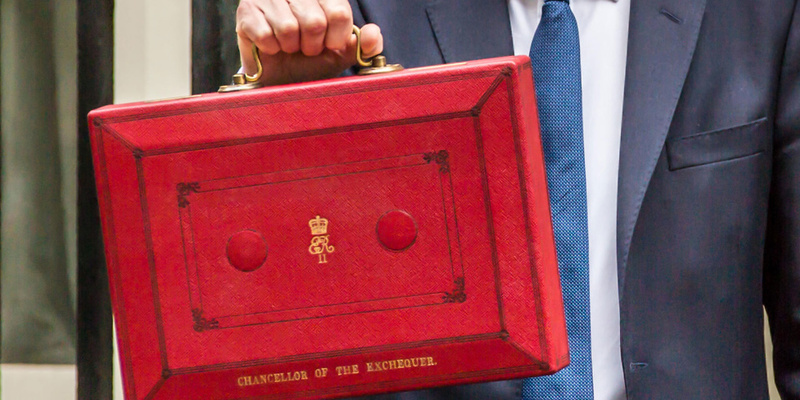 In the Spring Budget, the Chancellor announced a plan to scrap class 2 national insurance contributions (NICs) and hike class 4 NICs for the self-employed from 9% to 11%. Hammond was forced to abandon the plan as it went against a 2015 manifesto pledge not to increase taxes. But the Conservative’s 2017 manifesto made no such promise, so the Chancellor may choose to tinker with NICs again. It’s rumoured that this could include a cut in the costs for younger workers funded by changes to pension tax relief – but it’s also possible that the Chancellor will revive his plans to change self-employed NICs. There’s talk that the Chancellor is plotting a raid on older workers to fund tax breaks for younger people. The Telegraph has reported that Hammond wants to ‘restack the deck for the next generation’. The plan – which is being called the ‘tax on age’ – could see pension tax relief cut for older workers to fund a reduction in NICs for workers in their 20s and 30s. There has been widespread speculation that the Chancellor could scrap stamp duty to help first-time buyers. The average home in the UK costs £226,000 according to the Office for National Statistics (ONS), which means typically buyers have to pay over £2,000 in stamp duty. Use the Which? stamp duty calculator to check what you will pay. Hammond has been dropping hints the tax could feature in his speech. Fuel duty has been frozen for the last seven years, but it’s rumoured the Chancellor is planning a hike. The Petrol Retail Association believes the Treasury is looking to raise diesel fuel duty by 1p per litre from 57.95p per litre to 58.95p per litre, but will cut petrol duty by 1p per litre. Hammond is also reportedly considering a tax on new diesel cars, according to the Financial Times. The government has come under intense public and political pressure to cut the six-week waiting period for universal credit, which critics claim could leave families destitute. The Sunday Times predicts Hammond will give in to the pressure and reduce the waiting time to 31 days. After major changes to pensions and buy-to-let mortgage tax relief, tax consultants RSM predict that investors could be the next target. The Enterprise Investment Scheme (EIS) provides 30% tax relief for investments in high-risk companies as well as capital gains tax relief on disposal of the shares after a set period. Since it was introduced in 1994, £15.9bn has been invested, helping around 26,000 companies. But critics of the EIS see it as a way for the wealthy to avoid paying up to £300,000 of tax, so it’s possible the November Budget could set out changes. RSM predicts this could mean cutting the relief from 30% to 20% and increasing the period EIS shares have to be held.